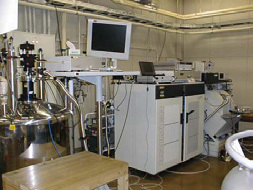 Instrument Center was established in 2007 by integrating two research centers in IMS. 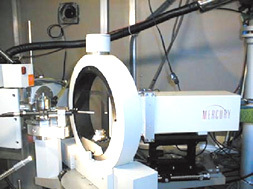 The main instruments maintained in YAMATE campus are: NMR, MALDI, X-ray diffractometers, etc; in MYODAIJI: ESR, SQUID, SEM, Spectrometers (FTIR, UV-vis, ESCA, ARUPS), etc. The center organizes the Inter-University Network for Common Utilization of Research Equipments and Nanotechnology Platform Program supported by MEXT.